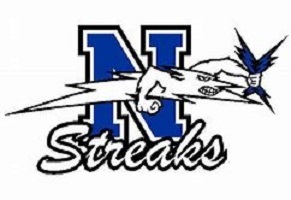 The Neodesha Bluestreaks end their season with a tough rivalry game coming up tonight against the Fredonia Yellow Jackets. It will be apart of our High School Game of The Week so you can tune into the action starting with a 6:50 pregame and kick off at 7:00. We sat down with head coach of the Blue Streaks John Black on a tough 2018 season as they are still winless in large part to many injuries suffered early in the season, bad breaks and mental mistakes has led to a 0 and 7 year thus far. Coach Black said they hope to have SR Blaze Grimes back tonight but are still without a few others. Coach Black says his guys are excited to get out tonight and take down rival Fredonia but know they are a very physical team that like to run the football and do it better than most. They are ready for a physical battle but plan to get it to their edge players to try and outrun Fredonia with speed. A fun game on tap as the Yellow Jackets sit right in the middle of the Tri-Valley District at 4 and 2 and as we spoke the Blue Streaks winless on the year and couldn't think of a more perfect way to finish the season than with a home field victory tonight against Fredonia. Game of The Week will be on Greatest Hits FM 104.1 KGGF, Sam Speck will be on the call from Neodesha with a 6:50 Pregame and 7 PM kickoff.